Based on company SEC filings, Houston-based Cornell Corrections started off with correctional facilities in Massachusetts and Rhode Island in 1991 and then in 1994 acquired Eclectic Communications, the operator of 11 pre-release facilities in California with an aggregate design capacity of 979 beds. An important relationship for Cornell from the start was the U.S. Marshals Service, an agency of DOJ, who was Cornells primary client for its Donald W. Wyatt Federal Detention Facility in Central Falls, Rhode Island, a facility with a capacity of 302 beds. Two years ago, the owners of the red cinder-block prison in this poor mill town threw a lavish party to celebrate the prison's opening and show off its computer monitoring system, its modern cells holding 300 beds and a newly hired cadre of guards. "But one important element was in short supply: Federal prisoners. 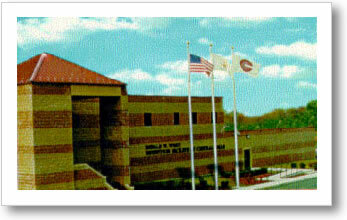 The Donald W. Wyatt Facility in Rhode Island was Cornell's first facility, constructed by Halliburton and financed by Dillon Read with tax-exempt municipal bonds issued through the Rhode Island Port Authority and Economic Development Corporation. "It was more than an embarrassing detail. The new prison, the Donald W. Wyatt Detention Facility, is run by a private company and financed by investors. The Federal Government had agreed to pay the prison $83 a day for each prisoner it housed. Without a full complement of inmates, it could not hope to survive. "So the prison's financial backers began a sweeping lobbying effort to divert inmates from other institutions. Rhode Island's political leaders pressed Vice President Al Gore while he was visiting the state as well as top officials at the Justice Department to send more prisoners. Facing angry bondholders and insolvency, the company, Cornell Corrections, also turned to a lawyer who was then brokering prisoners for privately run institutions in search of inmates. 1995-2000, then parent of Houston-based KBR. Cornells Donald C. Wyatt facility later became a case study at the Harvard Design Schools Center for Design Informatics. This was an indication of the wave of business and investment opportunities that prisons and enforcement presented to everyone from architects to construction companies to real estate and tax-exempt bond investors. Harvards case study mentions that Cornell arranged for the facility to be constructed by Brown & Root of Houston, Texas, then a subsidiary of Halliburton. 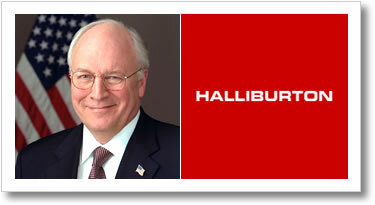 (Brown & Root, now known as KBR, separated from Halliburton in April 2007 after 44 years as a subsidiary.) Brown & Root/KBR's construction of prison facilities was to become more visible many years later after its construction of detention facilities at Guantanamo Bay, prisoner of war camps in Iraq and its winning of contracts to build detention centers for the Department of Homeland Security. A request to Cornell for information regarding companies used for prison construction subsequent to the Wyatt facility has been made, but no response has yet been received. Dillon Read had long standing relationships with Brown & Root and the Houston banking and business leadership as a result of the firm's historical role in underwriting oil and gas companies, including pipelines. In 1947, Herman and George Brown, the founders and owners of Brown & Root, were part of a group of Texas businessmen banked by Dillon Read as investor and underwriter (in a manner very similar to Dillon's backing of Houston-based Cornell many years later) to form the Texas Eastern Transmission Co. to buy the "Big Inch" and "Little Big Inch" pipelines in a privatization by the U.S. government. The Texas Eastern pipelines were critical to bringing natural gas from Texas and the Southwest to Eastern markets. For most Americans, Houston and New York seem far apart. However, the intimacy of their connection is better understood when you study the investment syndicates that controlled the railroad, canals, pipelines and other transportation systems that have connected these markets and helped to determine control of the local retail businesses for both goods and capital along the way. For example, Texas Eastern's Big Inch pipeline went from east Texas to Linden, New Jersey, some 30 miles away from the Dillon and Brady estates in New Jersey and approximately 20 miles from the Dillon Read offices on Wall Street. Arriving in New Orleans in early July, 1977 I found her living in an apartment across the river in Gretna. Equipped with scrambler phones, night vision devices and working from sealed communiqués delivered by naval and air force personnel from nearby Belle Chasse Naval Air Station, Teddy was involved in something truly ugly. She was arranging for large quantities of weapons to be loaded onto ships leaving for Iran. At the same time she was working with Mafia associates of New Orleans Mafia boss Carlos Marcello to coordinate the movement of service boats that were bringing large quantities of heroin into the city. The boats arrived at Marcello controlled docks, unmolested by even the New Orleans police she introduced me to, along with divers, military men, former Green Berets and CIA personnel. Another important relationship for the Houston-based Cornell Corrections was the California Department of Corrections. Whether this reflected that California was home base for David Cornells former employer, Bechtel, is not clear. When Cornell Corrections got started, California had the largest prison population of any U.S. governmental entity. In part due to extraordinary growth in incarcerations of non-violent drug users as a result of the War on Drugs, the federal prison population managed by the Federal Bureau of Prisons at the Department of Justice has become the largest with 186,560 based on their September 8, 2005 weekly update. California is close behind with 168,000 youths and adults incarcerated in California prisons and 116,000 subject to parole. Cornells early years of business were not financially profitable. The private prison industry faced significant resistance and legal and operational challenges to privatizing federal, state and local prison capacity. Within the private prison industry, Cornell faced competition for new contracts and acquisitions from two larger, more experienced companies, CCA and Wackenhut. By 1995, compared to industry leaders, Florida-based Wackenhut and Tennessee based Corrections Corporation of America (CCA), Cornell Corrections appeared to be lagging in government contract growth. As of mid 1996, Cornell was carrying $8 million of cumulative losses on its balance sheet. Cornells Chief Financial Officer, Treasurer and Secretary was Steven W. Logan, who had served as an experienced manager in Arthur Andersons Houston office. This was the same office of Arthur Anderson that had served as Enrons auditor until the Enron bankruptcy brought about the indictment and conviction of Arthur Andersen. Arthur Andersen was Cornells auditor, having first served as a consultant to create market studies which helped support the approvals for and financing of the building of the Rhode Island facility for the U.S. Marshals Service. Logan was later forced out of Cornell after an off-balance sheet dealengineered with the help of a former Dillon Read banker Joseph H. Torrence, like those done for Enron was called into question and significant stock value declines triggered litigation from shareholders. Most venture capital investors prefer to exit their investment within 5 years. That means that Dillon Read would have likely wanted to establish or start their exit from Cornell by 1996. The stock market was hungry for Initial Pubic Offerings (IPOs) where a new company sells its stock to the public for the first time. Venture capitalists typically make their profit from financing a company and then selling their equity when a public market has been established for the companys stock. However, by the end of 1995, Cornells story was not an exciting one. It was not a market leader, its growth was slow and it had no profits. If the calf was going to be taken to market, it would need fattening. Prison stocks also are valued on a per bed basis  which is based on the number of beds provided and the profit per bed. Per bed is really a euphemism for people who are sentenced to be housed in their prison. For example, in 1996, when Cornell went public, based on the financial information provided in the offering document provided to investors, its stock was valued at $24,241 per bed. This means that for every contract Cornell got to house one prisoner, at that time, their stock went up in value by an average of $24,261. According to prevailing business school philosophy, this is the stock markets current present value of the future flow of profit flows generated through the management of each prisoner. This, for example, is why longer mandatory sentences are worth so much to private prison stocks. A prisoner in jail for twenty years has a twenty-year cash flow associated with his incarceration, as opposed to one with a shorter sentence or one eligible for an early parole. This means that we have created a significant number of private interests  investment firms, banks, attorneys, auditors, architects, construction firms, real estate developers, bankers, academics, investors among them who have a vested interest in increasing the prison population and keeping people behind bars as long as possible. When you invest in stock, you make money if and when you sell the stock at a higher price than you paid for it. This would be true for the people who invested in Cornell stock, including Dillon Read and its venture funds. Cornell was run by a board of directors that represented the shareholders, particularly the controlling shareholders  in this case Dillon Read. The board is the group of people who decides what goes. Senior management officials, such as the founder and Chairman David Cornell, who run the company day to day, are also on the board. Most of the money they make comes from stock options that they get to encourage them to get the stock to go up for the investors. That means that what everyone who runs the company wants is for the stock to go up. There are two ways to make the stock go up. First, you can increase net income by increasing capacity  the number of beds  or profitability  profits per bed. Second, you can increase the multiple at which the stock trades by increasing the markets expectations of how many beds or what your profit per bed will be and by being very accessible to the widest group of investors. So, for example, passing laws regarding mandatory sentencing or other rules that will increase the needs for prison capacity can increase the value of private prison company stock without those companies getting additional contracts or business. The passage of  or anticipation of  a law that will increase the demand for private prisons is a stock play in and of itself. The winner in the global corporate game is the guy who has the most income running through the highest multiple stocks. He is the winning pop player. Like the guy who wins at monopoly because he buys up all the properties on the board, he can buy up the other companies. So the private prison company that wins is the one that gets the most contracts that guarantee it the most prisons and prisoners that generate the most income for the longest period with the smallest amount of risk. The way that Cornell could become a winner quickly was to get lots of government contracts to house lots of prisoners and acquire other companies with government contracts to house lots of prisoners and do it quickly. And that was exactly what happened.